 Budget and Institutional Analysis (BIA) at UC Davis strategically uses campus data to advise university leadership on the most efficient and effective management of the university's resources. By utilizing resources from the Budget Office, Institutional Analysis, and Business Intelligence, we are able to provide policy analysis on a wide range of issues, including enrollment, instructional workload, faculty positions and other institutional policies. Provides accurate and meaningful information about budget, enrollment, faculty positions and instructional workload in support of various resource decisions. Reports these data elements to meet campus, UC, State and ad-hoc needs. Manages various annual resource allocations for the campus and the Office of the President. Serves as lead analytical support for campus rate process. Develops policies, procedures, and information systems that enable units to efficiently and effectively manage operating budget, instruction and faculty resources. Provides staff development opportunities for departmental resource managers.